Mar. 17, 2011 Tags: Sarita's Word. I read this article and wanted to share it with you: Catalog talk: what you'll see this year https://blog.sonlight.com/catalog-talk-what-youll-see-this-year.html. I'm sitting here with a new 2011 catalog in front of me. I suspect I'm a bit biased, but this just may be the most helpful catalog Sonlight has ever produced. I pray it will be. 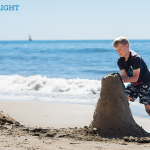 It used to be simple to choose a Sonlight program. Until we started to help people customize. 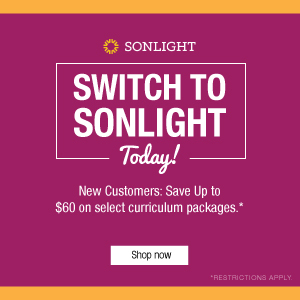 When Sonlight started in 1990, we didn't have many options of what you could order. You either bought the package we were selling, or you didn't buy anything. But we homeschoolers like to customize and individualize. After all, that's part of the beauty of homeschooling: you can tweak curriculum and approaches to fit your unique children. So we began adding options. Now you can choose the best level of Readers for your younger children; you have three different award-winning handwriting programs to choose from; you can choose from a variety of math curricula, each with different strengths; and you have the option of doing school 4 or 5 days a week. 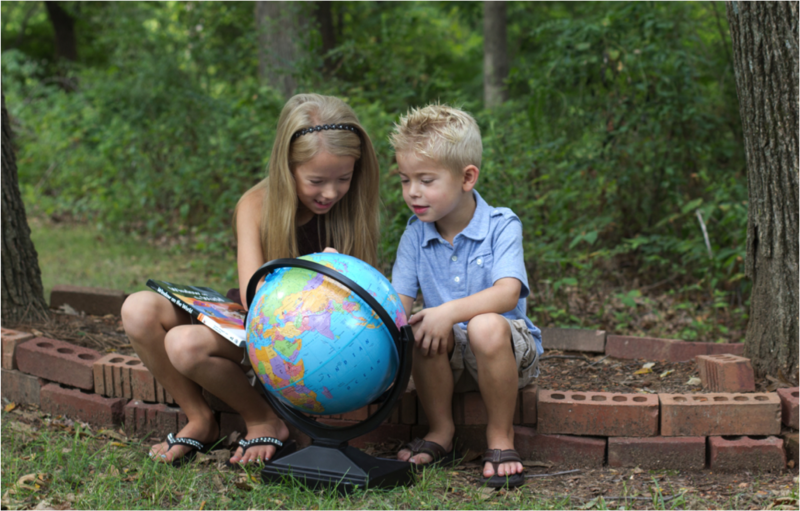 I believe this customization is immensely helpful for many homeschoolers. 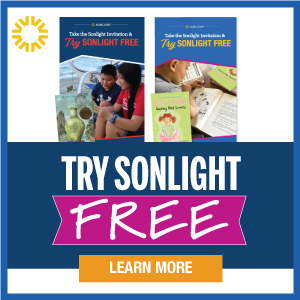 But it also creates a problem: new customers sometimes feel overwhelmed when looking at Sonlight. How do they know where to start and what to choose? So we focused even more this year on clarity. What does the "choosing process" look like? How do you know what you need to order? 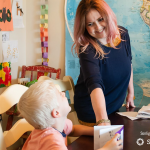 How can we guide new and veteran customers through a process that helps them choose the best curriculum for their family? 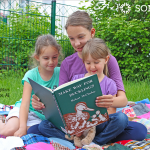 New, detailed Scope and Sequence charts for Sonlight's Core, Language Arts and Science programs. 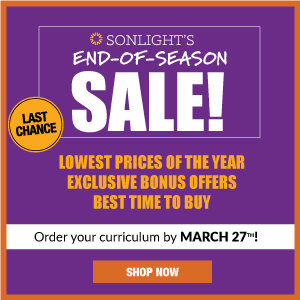 See how these programs progress from year to year and get a big-picture overview of what you'll learn using Sonlight. New "choosing charts" at the end of each Core. At the end of the description for each Core, you'll find a clear, sequential decision tree to help you decide just what to choose for your children. A new "Core wheel" graphic to give a visual of the decision process. First you choose the Core at the center of your curriculum, then you go around the circle and complete your curriculum with the other subjects and resources you need. New descriptions for each Core program. In years past, we spent a lot of catalog space describing each book in each Core, but we didn't spend much time describing each Core itself. This year, we wanted to cover questions like: What does this Core cover? What is its goal? Why did I create it in the first place? What books are the backbone of the history studies (i.e., your "history spine") and why did we choose them? My overarching goal for this Core is for children to understand the context and progression of American history. I want them to grasp why people came to a new land and how they persevered and settled the continent. We celebrate the positive in our history: the establishment of a government by a free people apart from a king, the move toward unprecedented equality, the compassion that has historically flowed out of the American Church, two Great Awakenings that led thousands back to God ... I could go on. As a people, we Americans have been far from perfect; but there's still a lot of good in our history to teach our children. It was hard work, but I loved thinking and rethinking through each Core to come up with these descriptions. It reminded me of just how much I love all these programs and all those great books. As I moved from Core to Core, I kept saying, "Oh, these books are just incredible! I remember the kids cracking up with laughter at this one; we all were in tears by the end of that one; this other one was just so interesting!" 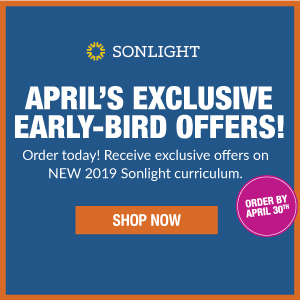 As you look forward to selecting your curriculum, my prayer is that your new 2011 catalog will help you find inspiration and encouragement for the school year ahead. That you get excited all over again about homeschooling. May you look back fondly at the programs you've already done and eagerly anticipate the adventures that wait ahead.